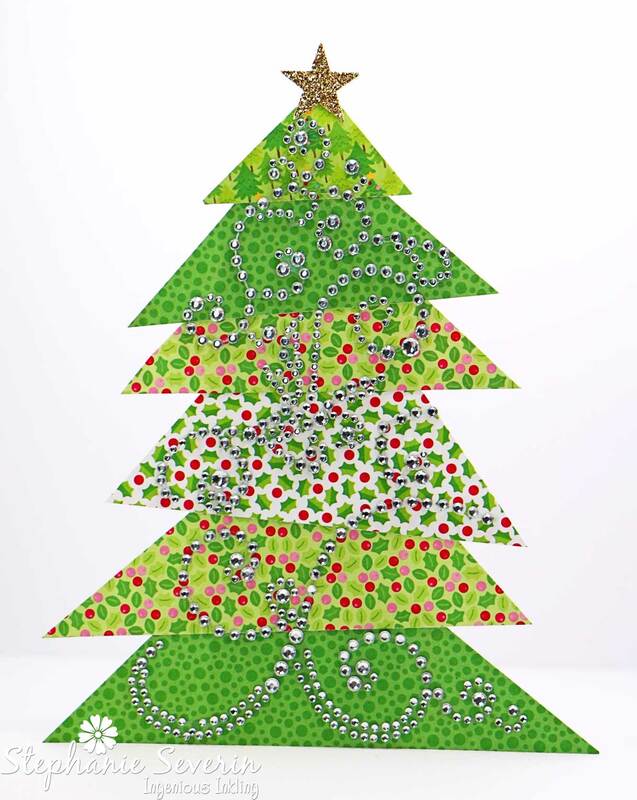 The gallery was certainly shining (and glittering) this week ... what fantastic holiday cards. really made her card shine with three different metallic elements ... the foil-on-oxide-ink technique is fantastic ... as is backing her fun foam sentiment with silver paper ... and then there are shining stars to tie it all together. how do you not smile when you see this cute little guy. 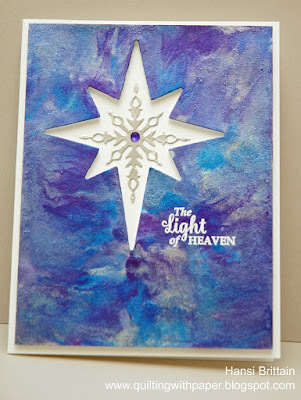 shared a gorgeous background technique using Hero Arts Glimmer Metallic Inks ... and she even snuck a bit more metallic pigment ink on the inside of her card. 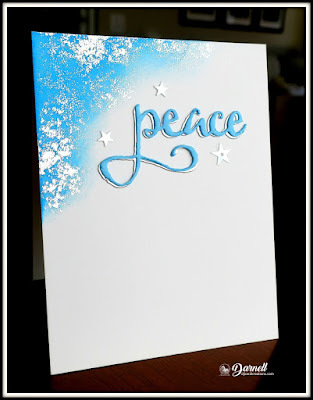 Hope you'll join us tomorrow where we'll be right in tune for the next card prompt. 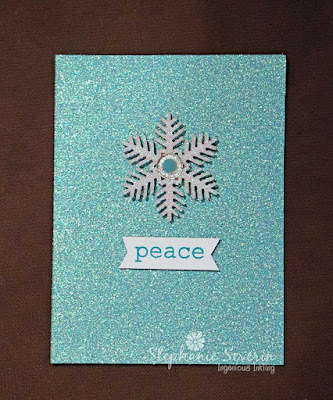 Stephanie says, "I went with pure glitter this week ... a glittery card base topped with a glittery snowflake ... and a sparkly gem in the middle. 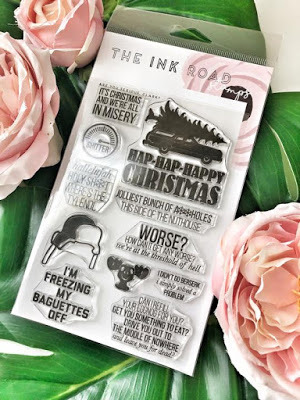 Sentiment is from Memory Box Typewriter Holiday Elements." 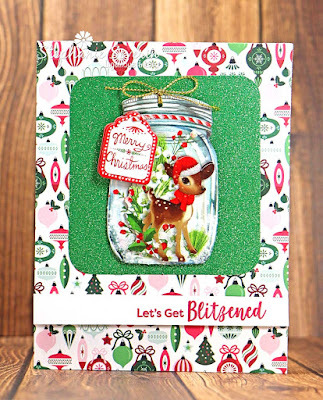 Lauren says, "This week I've gone shabby chic with papers and a journal card (from which i diecut the sentiment circle) from Prima's luscious "Sweet Peppermint" collection. So I have lots of distressed layers with wonky machine stitching, and I've added my sparkly/metallic elements via a golden doily from my stash and snowflakes diecut from scraps of Tonic Studios' awesome specialty paper. I've even worked in a bit of packaging from some older Prima flowers, (it's the green ledger paper layer) to which I've added plain white matte modeling paste, spread through a damask patterned stencil. 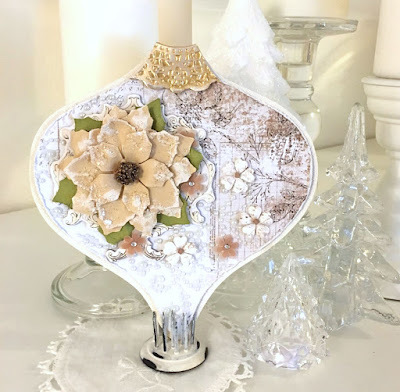 A few Eyelet Outlet heart pearls top the whole thing off." 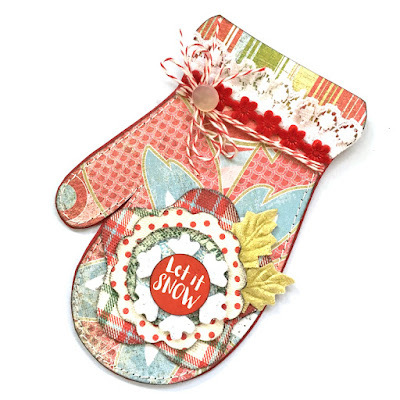 Remember, you have until 6pm EST on Wednesday February 27th to link-up your shining creation. ALL THAT GLITTERS ...is gold. 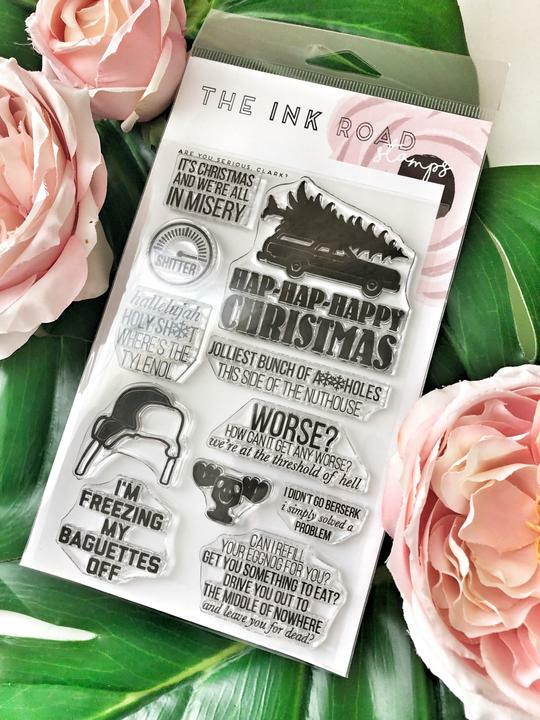 or sometimes silver. with the outside possibility of copper, bronze or rose gold! 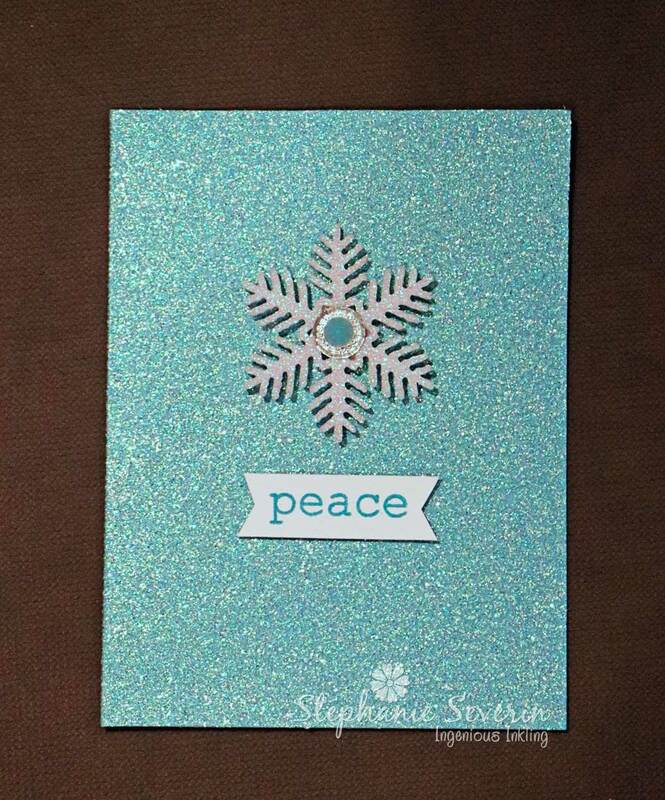 on the other hand, sometimes all that glitters is GLITTER! 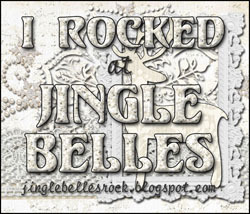 which is my very roundabout way of telling you that this fortnight at JINGLE BELLES we're all about metallics and/or glitter! 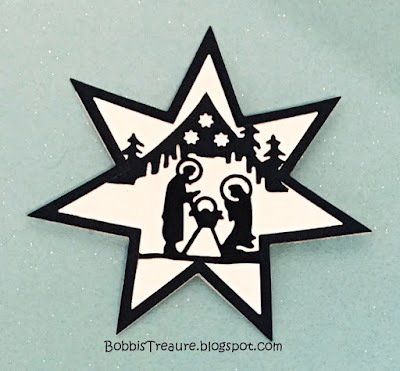 This could be in the form of metal embellies, metallic or tinsel embossing paste or powder, glitter paper, glitter tape, glitter glue, or even metallic paper ... basically, if it's shiny or sparkly, you're good to go! 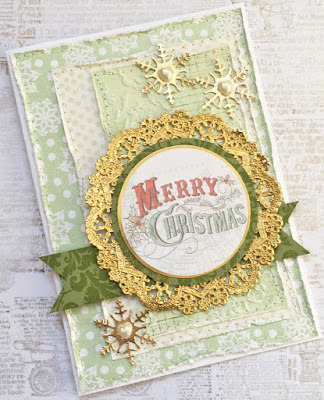 Lauren says, "I've mentioned before how much I love Idea-Ology's Metallic Kraft-Stock paper. 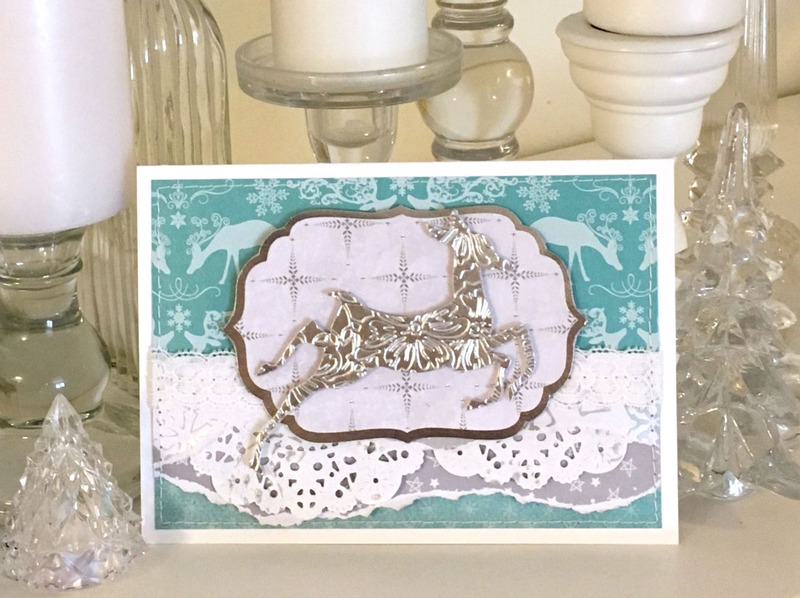 I've used silver this time, backed with a little scrap of plain white cardstock, not because the metallic cardstock isn't strong enough, but because I knew I was going to pressure-emboss in the next step and that reindeer has teeny little legs. I framed up the elegant results with a couple of label shapes and added it to a card with torn layers of paper and a little bit of lace, to make a sort of abstract version of a snowy day!" 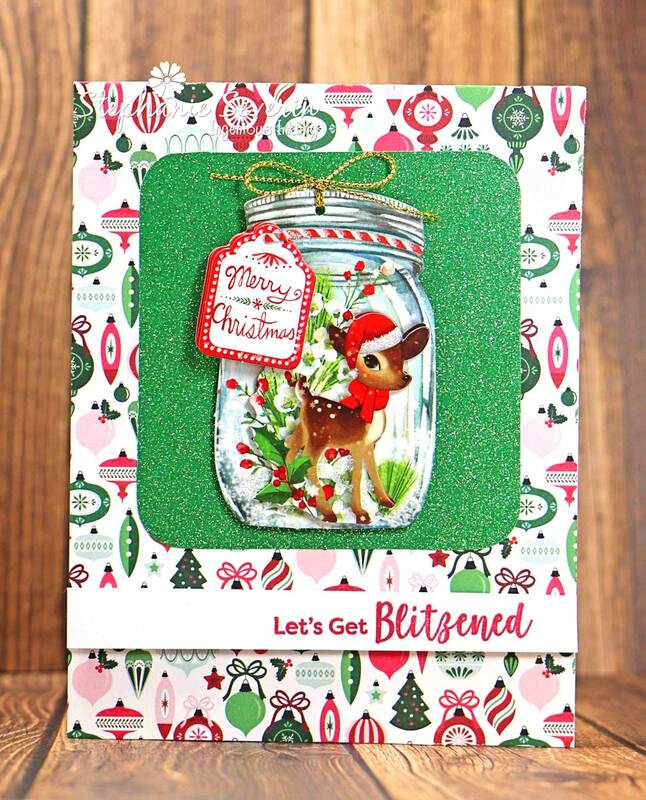 Stephanie says, "I went with primarily glittery metals on my card this week with glittery paper and glittery snow on my jar-shaped gift tag, which is tied with a golden cord. 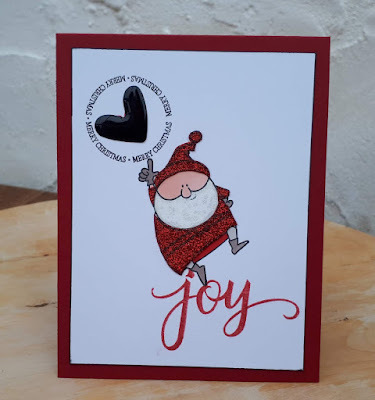 Sentiment is from My Favorite Things Sassy Pants Holiday and sketch is from Fusion Card Challenge (the theme is tea and bouquets ... I'm going with booze and berries instead). Link your metal masterpieces here by 6pm (EST) on Wednesday, February 27th. Keyword for galleries and Flickr is JB:19:04. 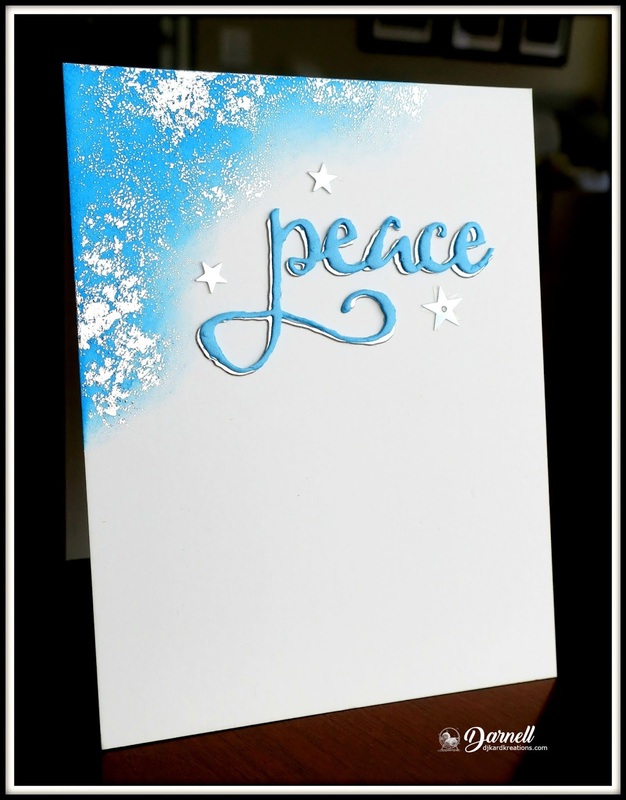 ...used beautifully simple silhouetted shapes within a distinctive frame for a card that's a STAR by anyone's standards! 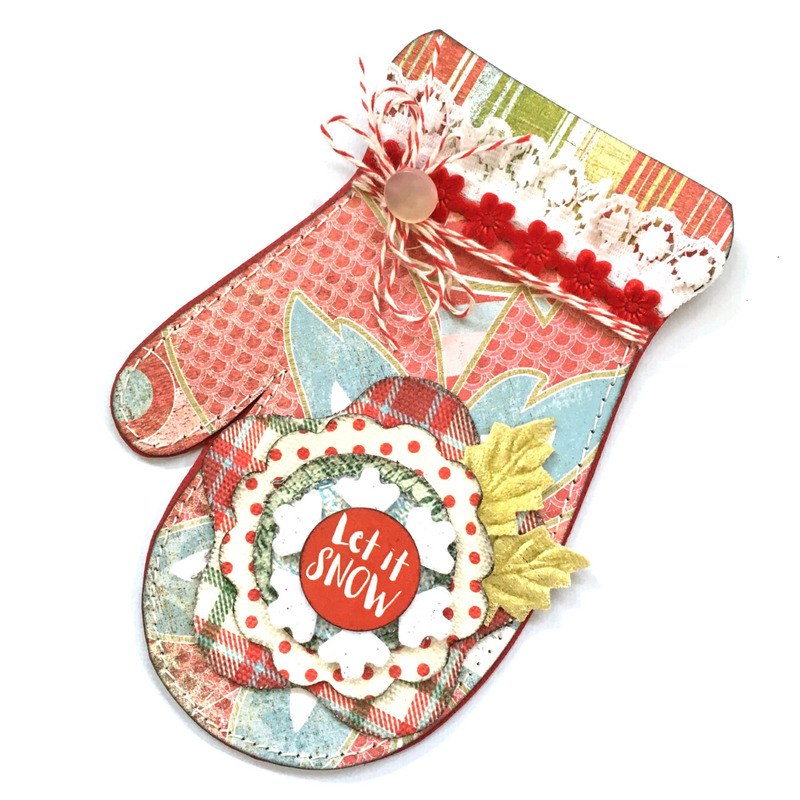 ...placed this beautifully colored bird on a clever half-moon shaped card, which makes this a LITERAL Rockin' Robin! 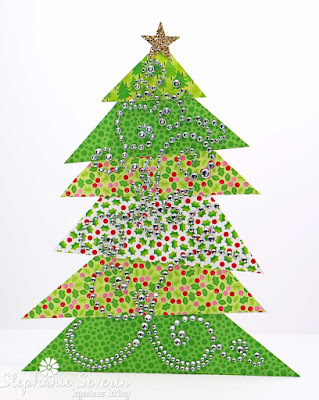 ...made SEVEN amazing and unique shaped cards that each made us say, "WOW!" 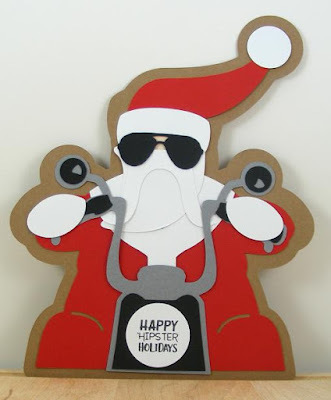 but it's hard to beat a card shaped like Santa on a motorcycle, don't you think? !